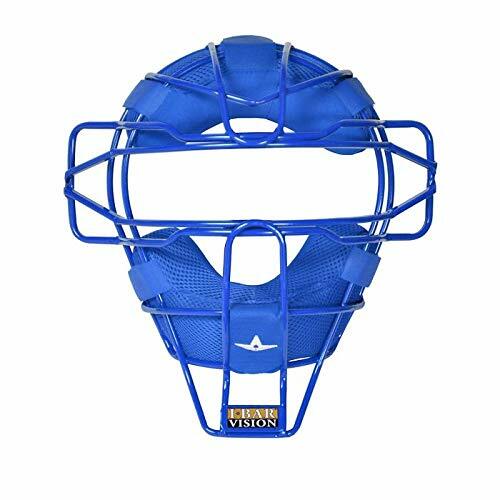 The Champion Sports Adult Catcher's Mask features a rugged metal frame and padding to keep your players feeling confident and comfortable each time they head behind the plate. 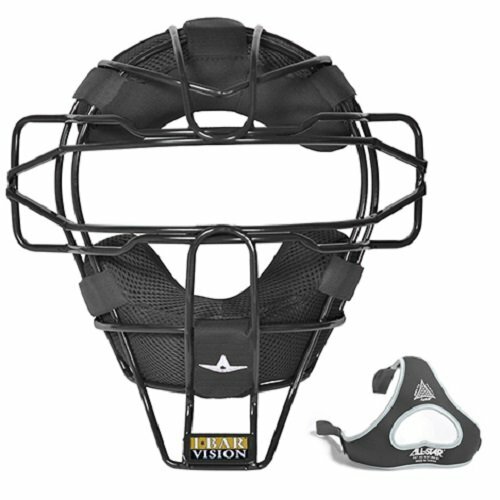 The built-in throat and ear guards provide extra protection for vulnerable areas, helping to prevent serious injuries. 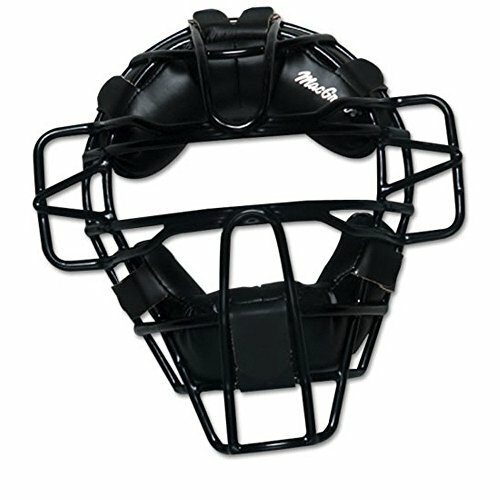 A harness is included to give the adult catcher's mask a more secure fit, and the mask comes in classic black to coordinate with any team uniform. At Wilson we focus on the gear so you don't have to. Wilson and DE Marini are dedicated to integrating the latest materials and technology into its protective equipment to keep you safe and comfortable behind the plate or in the batter's box. Go old school! Traditional ultralight catcher's mask with string cage designed for maximum field of vision. Energy absorbing foam lined with moisture wicking material provides both protection and a dry, comfortable fit. NEW! Baseball/Softball Cool-Catcher! 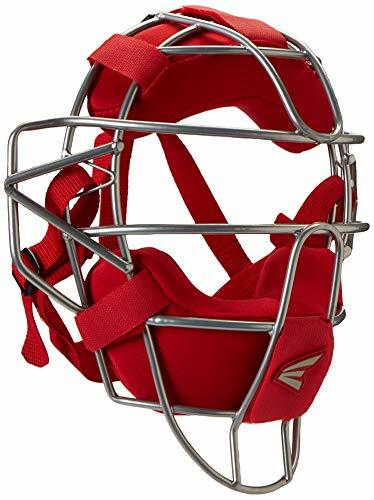 Cool Catcher easily attaches inside the back of all hockey-style catcher's masks with rear flexible cavity pieces. Included with the Cool-Catcher are 3 soft gel packs that can be kept inside a cooler during the game. 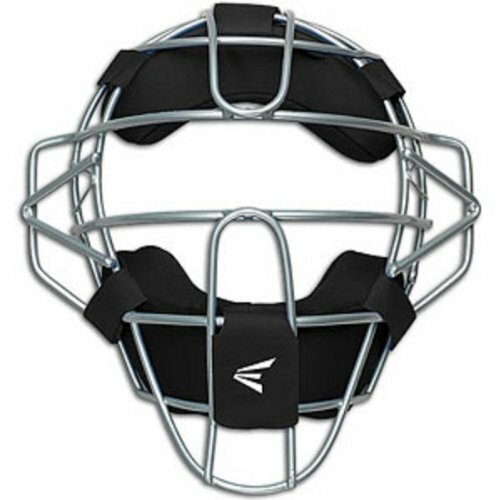 Cool-Catcher are used by Baseball/Softball Catchers from Youth Little League, ASA & Travel Ball to Babe Ruth, High School, College & Pros. 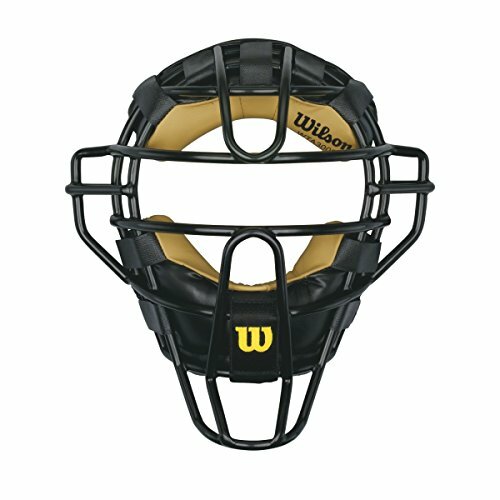 Keeps catcher's cool & comfortable on those hot days & during double headers. 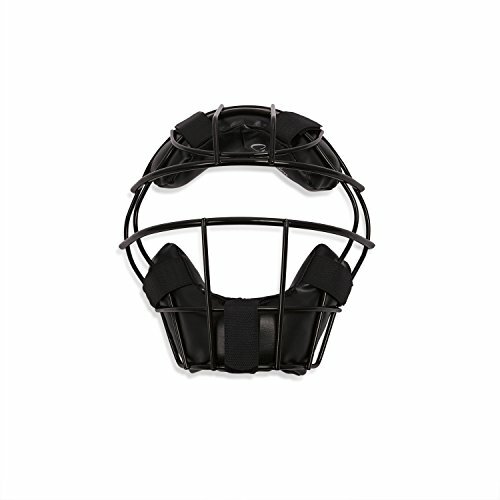 Cool Catcher easily attaches inside the back of all hockey-style catcher's masks with rear flexible cavity pieces. 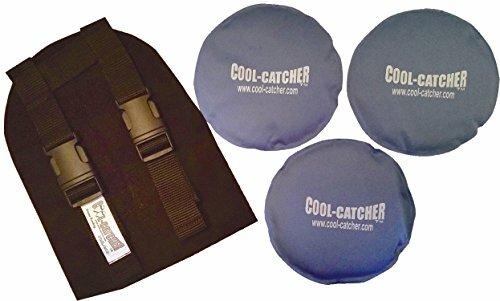 Cool-Catcher includes 3 soft gel cold packs that can be kept inside a cooler during the game. Cool-Catcher are used by Baseball/Softball Catchers from Youth Little League, ASA & Travel Ball to Babe Ruth, High School, College & Pros. Being a catcher is one of the toughest positions on the field and the heat can take its toll on your catcher. 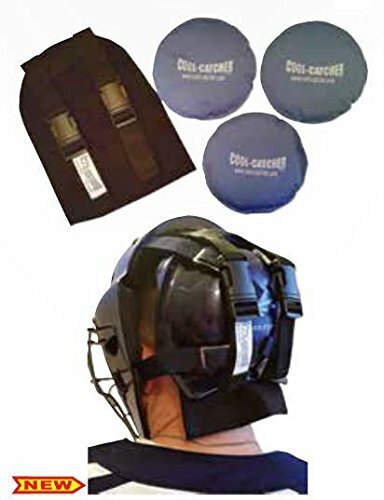 However, now there is a piece of equipment that can help keep your catcher cool and focused on the game. Cool-catcher was designed to help keep a catcher cooler while they work behind the plate. 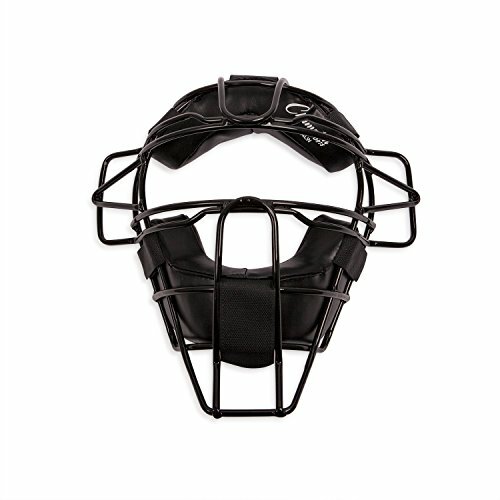 With proper water hydration and the cool-catcher, you catcher can stay in the game and be that needed field general. 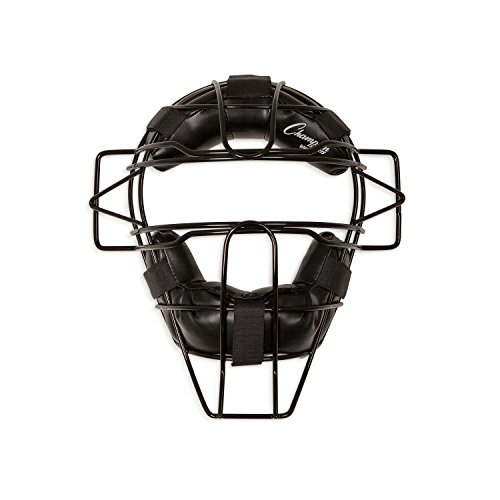 Rawlings Professional Series Adult Catcher s Face Mask features an ultra-lightweight hollow-wire frame. The mask is equipped with a premium leather interior for long-lasting comfort, and Pro-Dri Plus fabric keeps you dry even when the game heats up. Modeled after the same design worn by many pro catchers, it offers high visibility and superior cushioning and impact resistance, so you can step behind the plate with confidence. 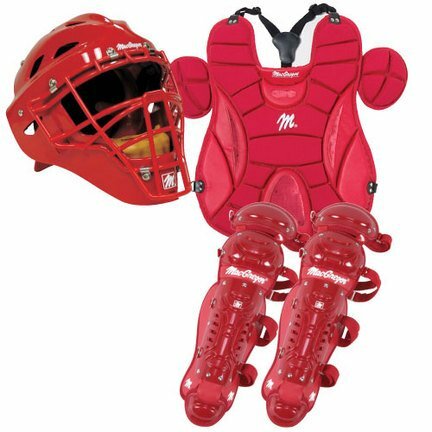 The Fastpitch Series Catcher's Set includes a catcher's mask, chest protector, leg guards, and equipment bag. The dual density foam liner, ABS plastic shell, and steel cage. These double knee designed leg guards are great for beginners through intermediate softball catchers. Wilson Dyna-Lite Face Masks...Protection You Can Count On!Wilson Umpires Dyna-Lite Face Masks Features: * Protective head gear provides a snug, safe fit * One bar design for optimal viewing area * Extended throat protection * Padding with velcro tabs removes easily for cleaning * Adjustable back harness for a custom fit * Wilson on upper left front padding * Major League Baseball label sewn on back harness * Available with synthetic padding or deerskin paddingColor: Black Size: 10"Models: Deerskin padding Synthetic padding Wilson Dyna-Lite Face Masks...A Home Plate Essential! The Vela Pro Fastpitch kits include an MVP2500 catcher's mask (7 - 7 3/4), CPW14.5S7 chest protector (14.5"), & LGW14.5S7 leg guards (14.5"). 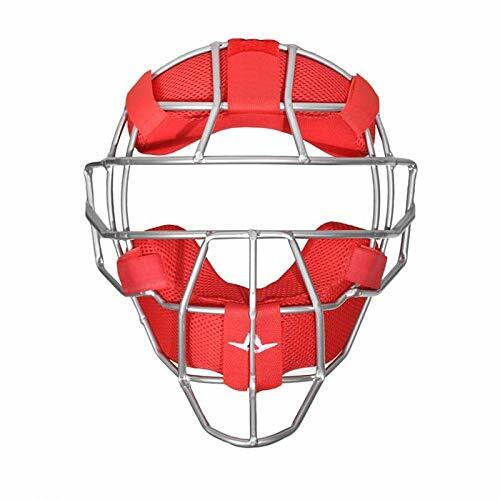 Size: 14.5" Helmet Features: The helmet features an I-BAR VISION steel cage, a high impact resistant ABS plastic shell with increased forehead thickness, a backplate designed to keep the snaps on, and a breathable machine washable 3D mesh padding liner. 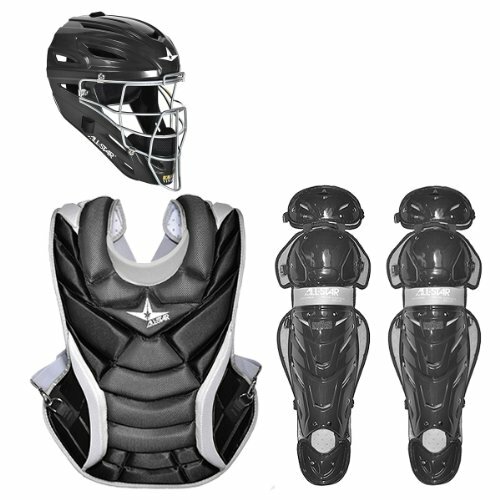 Chest Protector Internal PE plates in the throat, collar bone, and sternum keep you safe and the wedged abs help you keep blocked balls close and in control. Narrow shoulders for high mobility. Leg Guard Features: The DeltaFlex harness is great for players wearings shorts because no straps dig in. Adjustable D3O knee pad and shin pads help keep knees healthy and eliminate bruising. The Vela Pro Fastpitch kits include an MVP2500 catcher's mask (7 - 7 3/4), CPW14.5S7 chest protector (14.5"), & LGW14.5S7 leg guards (14.5"). 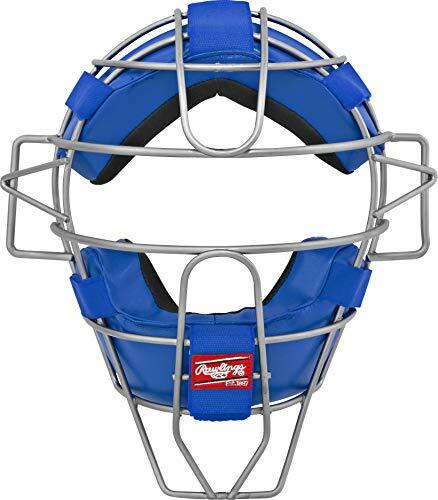 The helmet features an I-BAR VISION steel cage, a high impact resistant ABS plastic shell with increased forehead thickness, a backplate designed to keep the snaps on, and a breathable machine washable 3D mesh padding liner. Adjustable D3O knee pad and shin pads help keep knees healthy and eliminate bruising. Make sure your face is protected with the Ultra Lightweight Catcher's Mask from TAG. 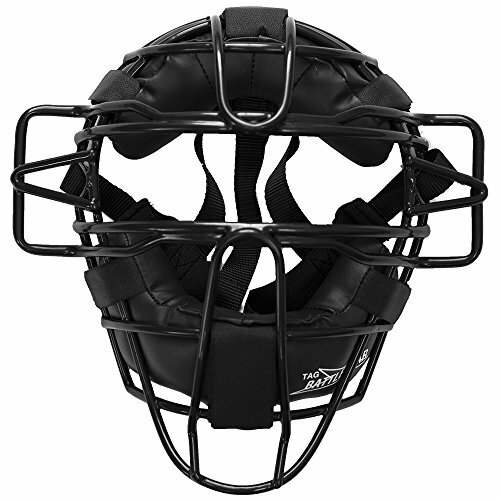 Great for baseball and softball alike, this mask features a tubular steel lightweight frame. Vinyl coated wire frame. Ear protectors. Black poly harness. Choose from Black, Scarlet, Dark Green, Navy or Royal Blue. 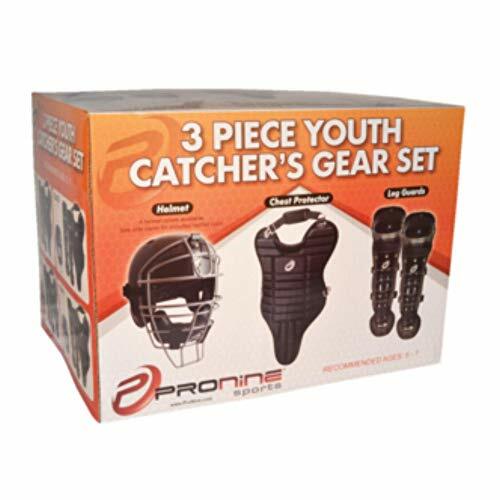 ProNine Youth Catchers Gear Set - (Ages 5-7) - Catchers Helmet, Leg Guards, and Chest Protector Bundle. 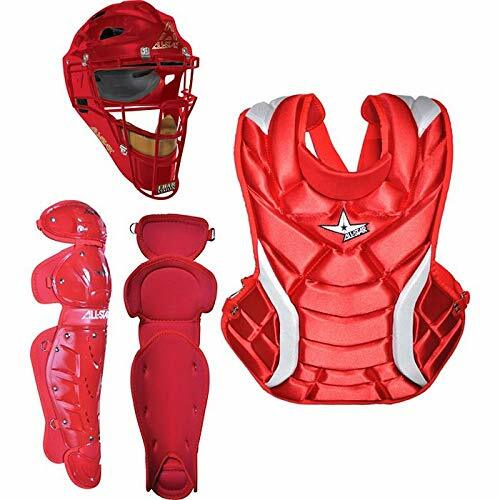 Ages 5-7 T-Ball/Coach Pitch Catching Starter Kit (Chest Protector, Shin Guards & Catcher's Mask). Helmet: Has high impact ABS shell with high gloss finish, cool 4-hole ventilation system, dual density foam headliner, long lasting vinyl chin strap, and is one adjustable size that fits 6 - 7 1/4 inches (recommended ages 5-9). Chest Protector: Has permanent tail, nylon over thick single density protection, easy adjustment and quick on/off, padded throat guard with plastic embedded plate, and is a 9-11 inch fit (Good fit for most five-year old, six-year old, or seven-year old players). Leg Guards: High impact ABS plastic, easy adjustment and quick on/off, and single knee design with optional toe guards, 10 - 11 inch fit (recommended for 5-7 years old).